Lower cholesterol // Reduce risk of cardiovascular disease // Cause muscle pain and fatigue // Fail to significantly prolong your life. Akira Endo scanned the room, waiting for his turn to speak. The turnout was impressive—some 200 physicians and scientists. Endo had traveled from Tokyo to the sixth International Symposium on Drugs Affecting Lipid Metabolism in Philadelphia on this day in 1977 to elaborate on his discovery of a molecule called compactin in blue-green mold. In college Endo had been impressed by the biography of Alexander Fleming, the Scottish scientist who discovered penicillin in a moldy culture plate. Endo knew that penicillin and other antibiotics can inhibit many enzymes, and he hoped that studying molds might yield a substance that would block HMG-CoA reductase, an enzyme that raises cholesterol levels. After testing more than 6,000 fungal extracts, he finally found one that safely inhibited the enzyme. He thought compactin might hold the key to treating elevated cholesterol, which had recently been linked to heart attacks and strokes. As a French scientist finished his talk on cholesterol-lowering drugs called fibrates, Endo took the podium—and the room began to empty. Only 30 or so attendees lingered to hear his presentation, “Effects of ML-236B, a Competitive Inhibitor of HMG-CoA Reductase, on Cholesterol Metabolism,” and there were no questions when he finished. Endo left the conference dejected, but before heading back to Japan, he accepted an invitation to visit the University of Texas Southwestern Medical Center laboratory of Michael Brown and Joseph Goldstein, who had read several of Endo’s papers on compactin. Brown and Goldstein had met as interns at Massachusetts General Hospital and went on to conduct groundbreaking research on cholesterol metabolism. One major achievement was their 1973 discovery of a receptor for low-density lipoprotein, or LDL, a protein that removes that “bad” form of cholesterol from the blood. Endo signed on to collaborate with the two scientists, and their subsequent research demonstrated that compactin did more than block HMG-CoA reductase; it also turned up the activity of LDL receptors. And while Endo’s audience in Philadelphia was blasé about compactin, drug companies could hardly have been less so: Next year will mark the 25th anniversary of the class of drugs born from Endo’s discovery, the HMG-CoA reductase inhibitors, better known as statins. The first statin sold in this country—Mevacor (lovastatin), approved by the Food and Drug Administration in 1987 for patients whose cholesterol levels couldn’t be controlled by diet—was followed by a half dozen more, which are now among the most widely prescribed drugs in the United States. Many doctors agree that statins, which have been shown capable of reducing LDL cholesterol by 35% to 55%, represent one of the most important advances in modern medicine. “Statins have had the largest impact of any medicine ever developed, short of penicillin,” says Sekar Kathiresan, director of preventive cardiology at Massachusetts General Hospital. Yet the drugs were nearly abandoned during several crucial stages of development, and despite defenders’ assurances that statins are safe, they have been linked to reports of side effects from the beginning. Complaints about muscle pain and fatigue are the most common, though some users have reported cognitive and psychological problems such as poor memory and depression. For statins, the common perception that the drugs may cause unpleasant side effects could help explain why so many people quit refilling their prescriptions. In one trial, three of four elderly patients instructed to take a statin stopped using the pills as directed within five years. One physician looks at a pill and sees a potent defense against the leading cause of death in the United States and much of the world. Another sees an expensive illusion that offers most patients false hope and potential harm. How can that be? From the discovery of cholesterol to the current state of American heart health, a history of the world's most prescribed class of drugs. 1. “A Historical Perspective on the Discovery of Statins,” by Akira Endo, Proceedings of the Japan Academy, Series B, Physical and Biological Sciences, Volume 86, 2010. 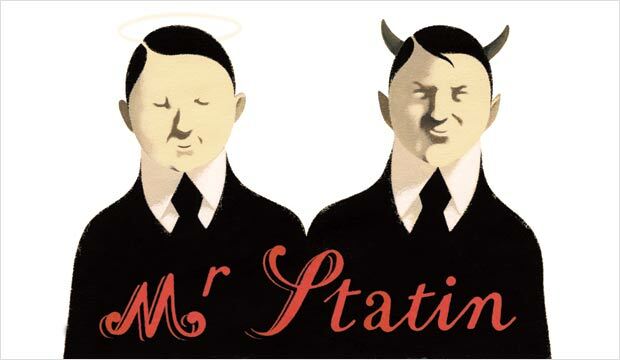 The man some scientists insist should receive the Nobel Prize tells the story of how he discovered the first statin, compactin. 2. “Rosuvastatin to Prevent Vascular Events in Men and Women With Elevated C-Reactive Protein,” by Paul M. Ridker et al., New England Journal of Medicine, Nov. 20, 2008. The controversial JUPITER trial showed that statins prevented heart attacks in apparently healthy people. Skeptics doubted the study’s integrity, while true believers debated how to interpret its results. 3. “Cholesterol Lowering, Cardiovascular Diseases, and the Rosuvastatin-JUPITER Controversy,” by Michel de Lorgeril et al., Archives of Internal Medicine, June 28, 2010. De Lorgeril and eight colleagues sharply criticized the JUPITER study, which has been interpreted as evidence that statins are underused.